The words opening this post are on every email I send. I get a lot of responses from people who say they needed to hear those words at that moment. That’s why Melody Beattie’s words are my signature line – because I need to be reminded of gratitude and thankfulness all the time. But never more than back in October. 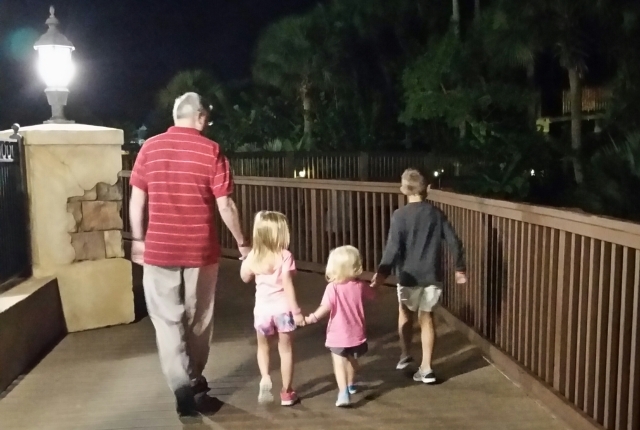 A long awaited trip to Disney was underway. We flew. The son, DIL, and three grandkidlets traveled in their van. The other grandparents headed down a bit later in the day. Only one problem. Our kids were traveling down 95 through South Carolina. South Carolina, remember what happened? A thousand year flood, caused by an unusual jet stream. The kids thought they were ahead of it until they hit an interstate closure and were forced to go another way. Suddenly they were in the middle of a flooded wash lifting their car with DIL plotting how to get all the car seats undone. THANKFULLY they were able to turn around out of the flood. THANKFULLY they and a number of others congregated at a small country store. It wasn’t supposed to be open that day, but the storekeeper came in to check on things due to the weather. THANKFULLY the other grandfather, a former Marine/policeman and one of the calmest people we know, was able to meet the kids at the store. THANKFULLY the family didn’t decide to stay in Florence as others advised. They would’ve been trapped. The in-laws, before reuniting with the kids, saw a flooded house with the owner standing on her front porch. THANKFULLY they headed west and then through Atlanta, arriving safely late in the evening. THANKFULLY the kids texted us all along the way. The easiest flight over the storm clouds was the most stressful due to our worry. THANKFULLY we had a layover in Atlanta so could check our phones. I was able to ask my friends and family for prayers for their safety. We accepted praying was the only thing we could do. Pray and be thankful every time we heard from our daughter-in-law. When we did, the peace beyond understanding appeared when we needed it most. When the kids arrived in time for dinner, we broke down and hugged them all tight. The thankfulness we felt turned that restaurant meal into a feast. I remember saying to ManO that no matter what happened during the week at Disney, two year old tantrums, being overwhelmed by the crowds, other disappointments, those things wouldn’t matter because our family was alive and well. That “vision for tomorrow” was about enjoying each moment of being around 60,000 people, walking 22,000 steps a day, and being grateful for it. Now we are back. I’m facing other challenges. 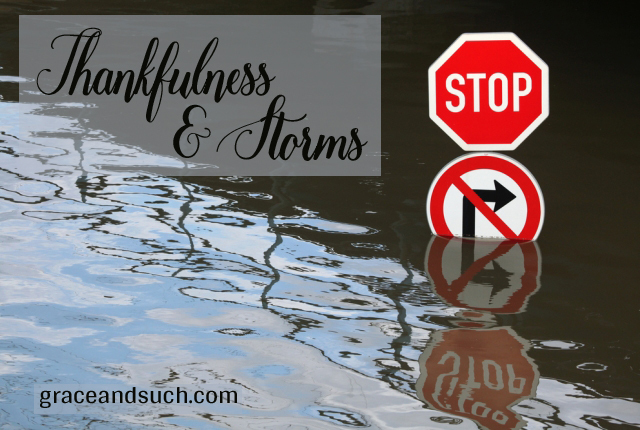 I’m reminded again thankfulness isn’t just for crises or busy family vacations. It’s needed for life’s little events, to get us through the dark moments and appreciate the sunny ones. Being strengthened by God in hard times builds our gratitude muscles so thankfulness becomes a habit and joy a constant state of mind. 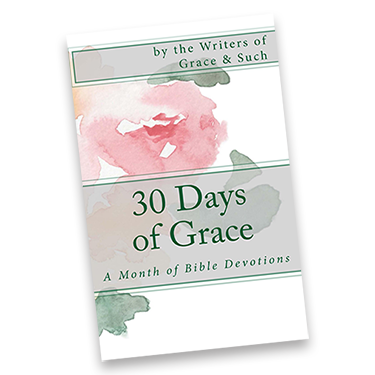 It’s hard, especially given my tendency to be an Eeyore over a Piglet (pardon the Disney reference), but it can be done, with scripture, prayer, email reminders and looking for the “fullness of life” with God’s help. So grateful that it all worked out for them and that everyone had a lovely time. Thank you so much for this, Julie. Sometimes it’s hard to remember to be thankful for all we have instead of looking at what we desire. I’m so glad your family arrived safely and you had such a magical time in Disney World. God is good, and deserves our thanks. There’s so much wisdom and release in gratitude IMHO. Thank you for sharing this beautiful picture of God’s love in keeping your loved ones safe and your perspective in gratitude. Blessings! That darkness makes the light so much sweeter! Such joy in your reunion in Orlando!